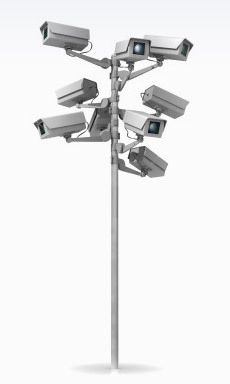 The backbone to any security camera system is its control equipment. More and more businesses's and residences are using digital video recorders as the recording and control backbone to their systems due to the enhanced features like remote monitoring, DVR controlled motion detection for security cameras and scheduled recordings that offer crystal clear images that can be burned right to CD or compact flash card. 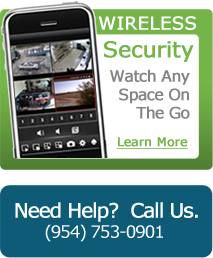 We suggest selecting a security camera that utilizes the newest day night imaging that is combined with night vision. Security systems need the help of infrared in low light night time surveillance around the exterior. Rapid advancement in computers has led to major changes in the security industry, such as the development of digital security systems. A digital security system makes retrieval of data more consistent and faster. Faster processors allow for faster frame rates. The frame rate of a digital security system is the number of frames/pictures a unit can record per second and are shared by the number of cameras. A digital security system uses a hard drive to store video. A digital security system features far more advanced resolution. Motion detection is also built-in to the digital security system and managed by the digital video recorder. A digital security system can email you upon motion detection and prompt you to remotely monitor. This is achieved by connecting the DVR to an Ethernet connection. Digital security systems are advancing rapidly and we pride ourselves on serving up the very latest digital security system technology available.